These days, driving a car is becoming an increasingly stressful and congested activity. The average urban commuter is stuck in traffic for a staggering 34 hours every year! Not only is it frustrating an stressful, it costs us big bucks; each hour stuck in traffic costs approximately $21 in time and gas. If you find yourself exasperated by your daily commute, it may be worth your while swapping your four wheels for a more convenient and cost-effective two. Cycling has grown exponentially in popularity in recent years, and is now regarded as the second most popular outdoor activity in the US. 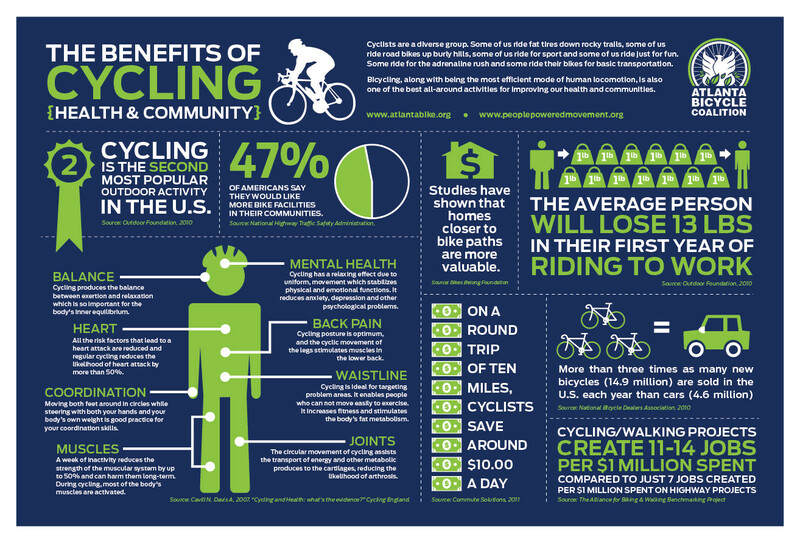 Listed below are several reasons why a bicycle may be a more viable and stress-free choice for your current lifestyle. Obviously, we LOVE peddling! New or old, cars cost us a pretty penny; from the car itself to bills for insurance and gas. Currently, the US imports over $300 billion worth of oil and as a result, research shows that in 2012 the average American family spent $2,912 on gas! However, if you were to exchange your car for a bike, you could free yourself of this cost entirely and use the funds for something eminently more enjoyable, like delicious Colorado craft beer! Compared to a car a bike is extremely affordable; discount stores, garage sales, or even online classifieds such as Craigslist, now offer bikes for as low as $45. Even if you go for a more expensive, high quality commute bike, it’s still far cheaper than a car and you can pocket the difference! This exponential discount will save you money now and later; as you will no longer be victim to the extortionate and ever increasing cost of gas. So you have more money, you’re enjoying more delicious beer, and wait, what is that? You’re getting healthier too?! Swapping your car for a bike could do wonders for your health. For many driving a car is an immensely stressful activity; for instance it is estimated the average driver will swear 32,025 times during their lifetime while driving. In comparison, consistent cardiovascular exercise such as cycling has been scientifically proven to release endorphins throughout your body- those are the happy hormones! This regular release of endorphins from the brain as a result of exercise creates a feeling of euphoria and well-being; thus providing a natural remedy to depression while making you an overall happier human being! In this way, swapping from a car to a bike can help alleviate you of your transport-related stress issues. Furthermore, motorists often spend a extended portions of their day hunched over the steering wheel of their car (not to mention their desks). This sustained stationary activity can lead to poor posture and often lower back pain. Professional chiropractors Spinal Care Clinics explain how “human Beings are self-regulating organisms with the uncanny ability to self-heal, all controlled by internal electrical impulses known as our nervous system. Using your spinal cord, these electrical impulses carry instructions to every organ and tissue in your body. Upon return these signals tell the brain if everything is working as it should be. If any moving bones of the spine are in an incorrect position or are not moving as they should be they can interfere with the important exchange of information affecting nerves and in turn affecting organs and tissues.” Translation: When you’re cycling your strengthening muscles and maintaining way better posture then when your slumping grumpily in your car. When you have good posture, your brain freely talks to your body through your spinal cord and keeps it happier and healthier. Happy heart. Happy spine. Happy body. Now to help the earth.. It is universally accepted that bicycles are an environmentally friendly method of transportation. In recent years, this ecological benefit has become readily apparent, due to increased public awareness of the global threat of climate change from combustion of fossil fuels for energy. In the United States, more than 90% of greenhouse gas emissions come from the combustion of fossil fuels. If you swap your car for a bike, you’re able to significantly reduce your carbon footprint as you remove your dependency on fossil fuels to meet your transportation needs. Fossil fuels are a limited, rapidly depleting resource, so as gas prices continue to increase, you remain unaffected. If you bike instead of drive, you remove your dependency on this depleting reserve, saving both your bank balance as well as the environment! WOW! Here’s to more peddling, less traffic, a cleaner environment and a healthier and happier new you! Thanks to our wonderful guest blogger Bradley Taylor!